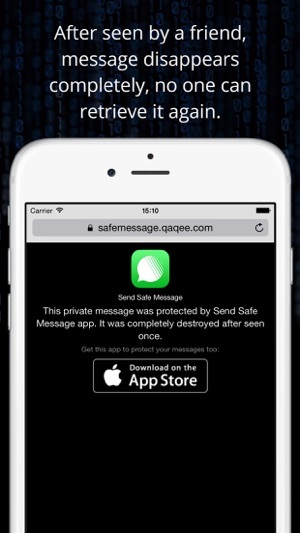 Send safe private messages that self-destruct after seen once. 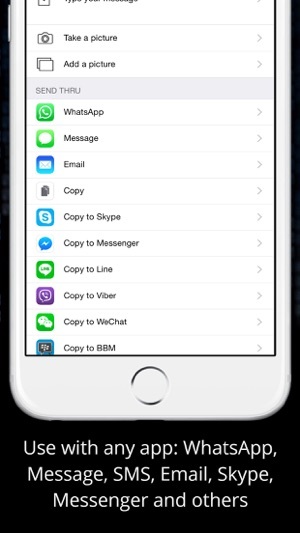 Use with WhatsApp, SMS, Message, Email, Skype, Messenger and others. Message recipient doesn't need to install anything to see your message. 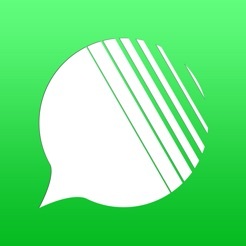 This app is a new tool to send private messages of text and pictures thru your favorite messenger. 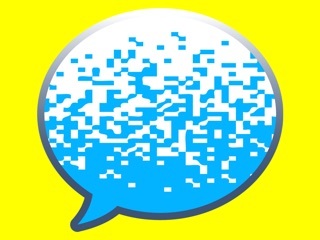 Messages are automatically erased, destroyed, deleted right after being seen, making much more difficult to share, save or copy its content. In addition, private messages are shown out of context to recipient, to improve privacy. Everything is encrypted to add even more security. 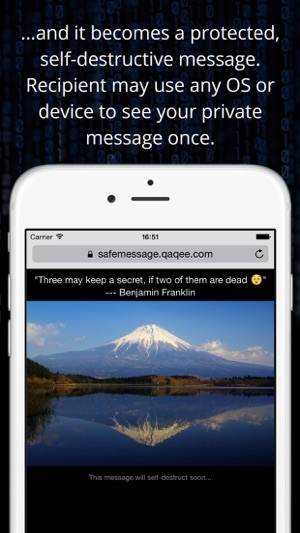 Send Safe Message was designed using several industry-standard security encryption, tools and strategies to make messages as private as possible. The whole concept is based on messages that self-destruct on both server and client once viewed. As an additional security measure, messages are also automatically eliminated some days after sent, regardless of been seen. 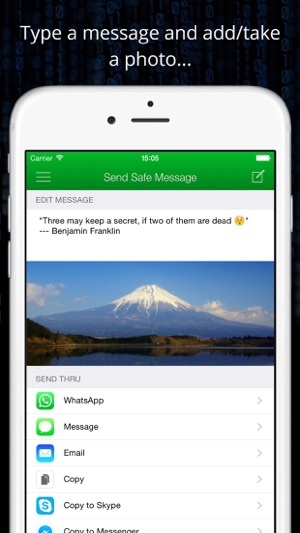 Also, sender can eliminate or check its own messages by visiting their links. However, there's nothing 100% secure in this world. In particular, message recipient still have some few possible actions to share your message. So, be aware and avoid sending too sensitive messages. 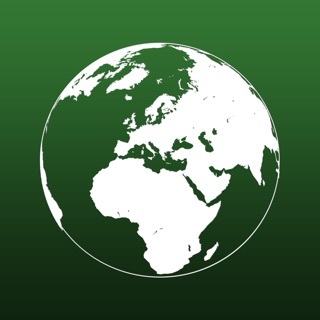 Follow good internet behavior, security tips and use your common sense while using this app.This app is provided to be useful, but without any warranty of any kind. Forgive my skepticism, I see so far because it’s only been a few days that I’ve been using the app and Am a great skeptic when it comes to a lot of these applications. However, having gotten that out of the way this is a fantastic app for anyone who values their privacy. Very easy to use with a multitude of ways to send information. 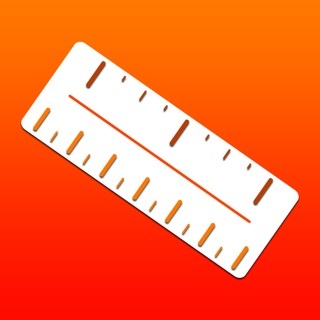 Thank you for creating this wonderful app! 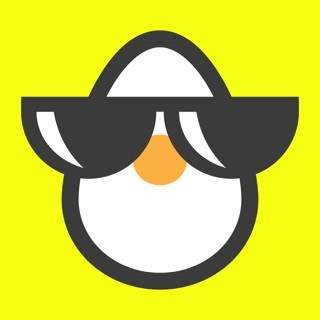 Best secret message app I’ve ever used! 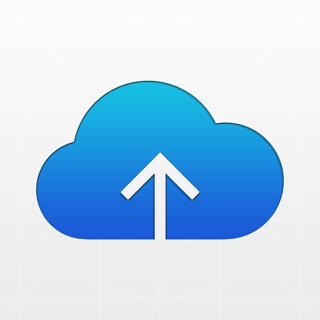 Hands down the most convenient private message app available for one simple reason.... the receiving phone is not required to have the app for it to function. Simple and brilliant for sure. Hassle free. And it has all the other important features of its competitors, too. THANK YOU THANK YOU THANK YOU!!! I tried but I could observe the app on iMessage for as long as I wanted. I sent it through the app and it doesn't work. Period. It just doesn't work.